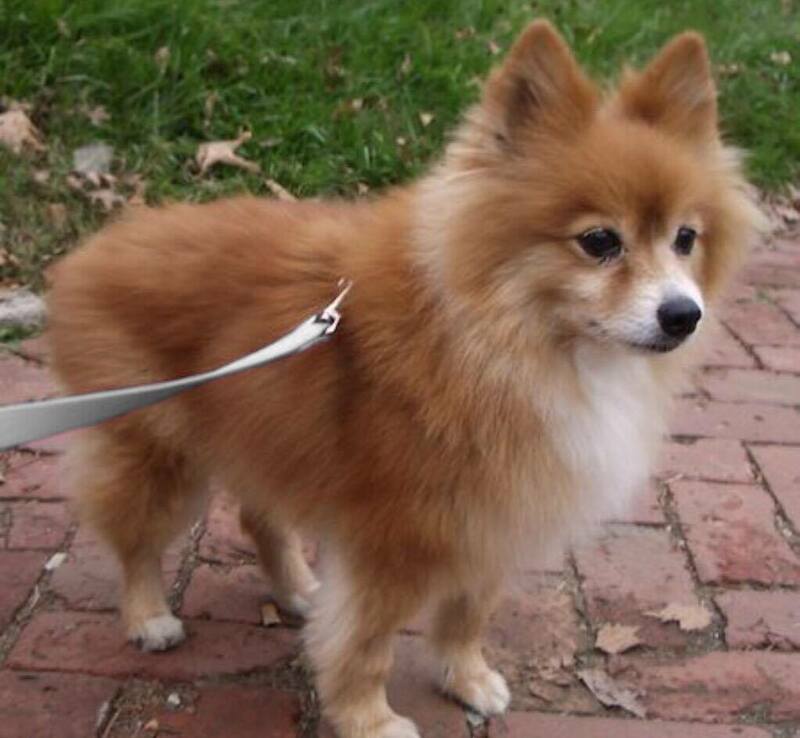 Handsome is a beautiful tiny Pomeranian who lives up to his name! He is full of energy and personality. If you are looking for a fun, active, funny little companion this is your guy! He is house trained and currently spends his days in the kitchen (baby gate) while his foster parents work. If you leave this little guy running free with no supervision, he will get into things, as there is always something great to chew! So it is safer for everyone to leave him behind a gate. He is not a fan of the crate and will bark for a long time if you leave him in a crated, but a baby gate is a perfect solution! Handsome is super friendly with all humans, adults and small kids alike. He actually loves kids and has a lot of fun playing with them. Off course, respectful kids will only be considered since Handsome is too small to be mishandled. He loves going for walks and putting his scent on every single plant out there. He gets overly excited every time he sees another dog when outside and is likely to bark. This will continue until he has the possibility to smell the dog and interact with him. Many dogs may not understand this reaction, but Handsome only wants to play with them. He is just not very clever at making himself understood! ? Patience and work in this aspect will be required from his forever family. Socialization classes with other dogs will be very beneficial for Handsome. Perhaps taking him to doggie day care once in a while or some classes with other dogs where he can learn that seeing other dogs is not that big of a deal! Obedience classes will also be very beneficial. Handsome loves his humans and loves spending time with them and cuddling. He is a true, loyal, loving companion to have. It does not hurt that he is truly Handsome!